Wet n Wild Pro Brush Line review! Very few things make me as happy as when a budget brand ups their game. And Wet n Wild, you've played a blinder with the new Pro Brush Line! Not only are they vegan and cruelty-free, but they won't break the bank and to top it off, they're beautiful... Lookit! 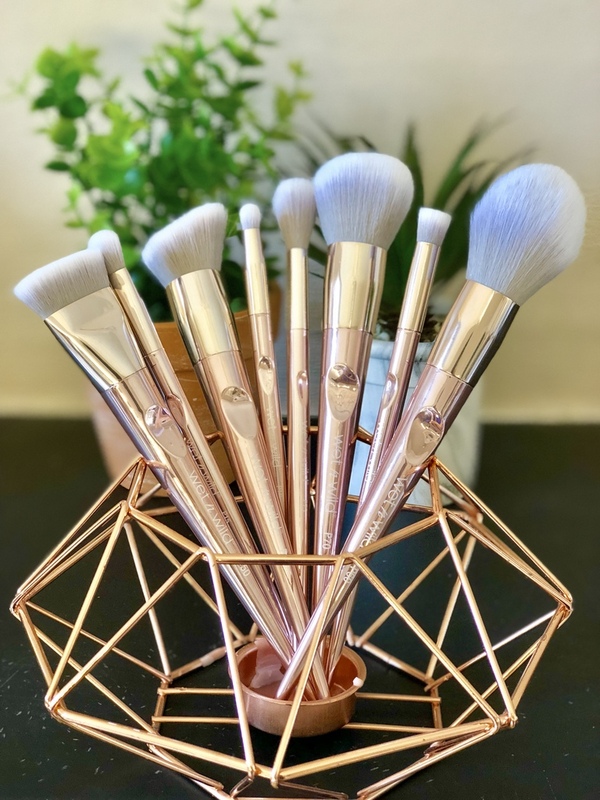 The range has four face brushes and four eye brushes, all with really sleek metallic rose gold handles and super soft grey bristles fading into white. They're truly Instagrammable and are the types of brushes you'd want out on display on your desk. Except you'll probably be too busy using them. I've been using them for a few days now and have made sure to both spot clean them and have washed them too, and they clean up like a dream. Oh, and have I mentioned the ergonomic handles? What am I talking about I hear you ask? 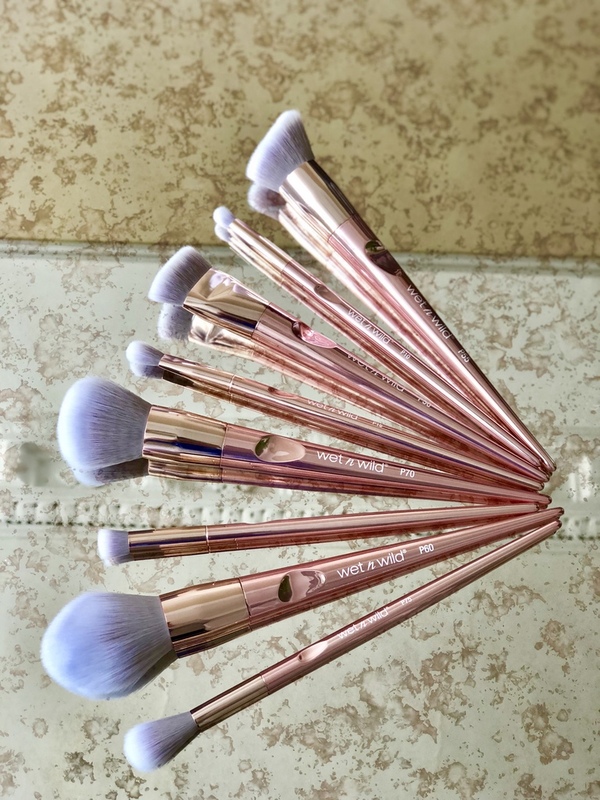 Well each of the brushes have a little intent for your thumb to sit in, making them really comfortable to hold and to use. I love little touches like that so I do. For the face, there's a Flat Contour Brush which picks up loads of product and also blends it out easily too. The bristles are short and stubby, with enough movement to buff your contour into your skin. The Precision Foundation Brush is angled and has a little well in the centre for you to apply the product and again, buffs the product into the skin easily. It's smaller than the brushes I typically use for my foundation, and I think I'll get more use out of it for applying cream blushes. There's a Blush Brush too which I've used for blush and also for foundation as I'm partial to a rounded brush to work my base into my skin quickly. And finally, there's a Large Powder Brush which I've been using to set my foundation and also with blush. I'm wild. I don't follow the brush rules. These are all €7.95 each and are well worth it. With the four face brushes comes four eye brushes. There's a Dome Pencil Eye Brush which is great for smudging liner and shadow under the lower lashes, a Tapered Blending Brush which both blends and packs colour onto my eyelids. The Precision Flat Face Brush is the one I'll probably get the least use out of but would be good for applying concealer onto blemishes or if you wanted to dot cream contour along the cheekbones without packing on too much product. And finally we have the Tapered Highlighting Brush which is fantastic for both applying highlight on the cheekbones and for applying a wash of colour on the lids. These are all €5.95 and again, they're great value. 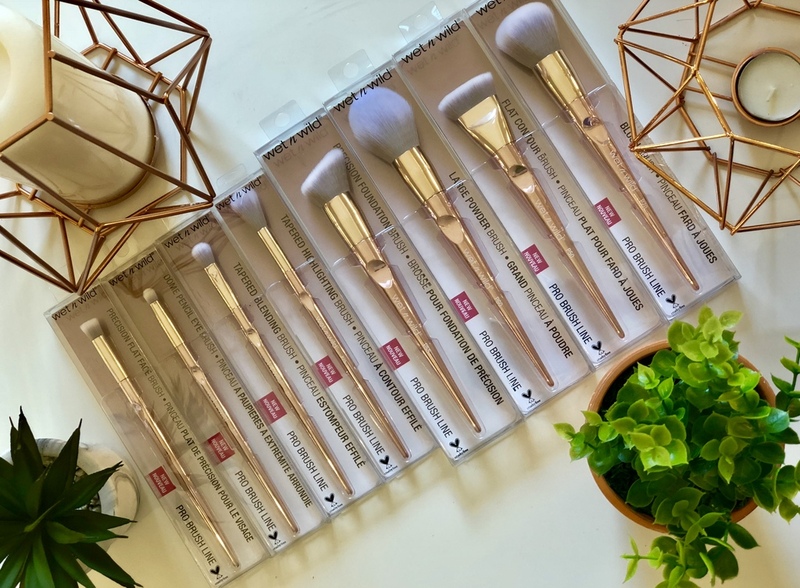 These brushes are absolutely brilliant and if you're on a budget but don't want to compromise on quality, get yourself to your local Wet n Wild stockist soon because these are limited edition and I predict they're going to sell out fast! If you're not sure where your local stockist is, make sure to message the Wet n Wild facebook page with the county you're living in and they'll be able to let you know where you can get them! L'Oreal Professional Rebel Push-Up Review!